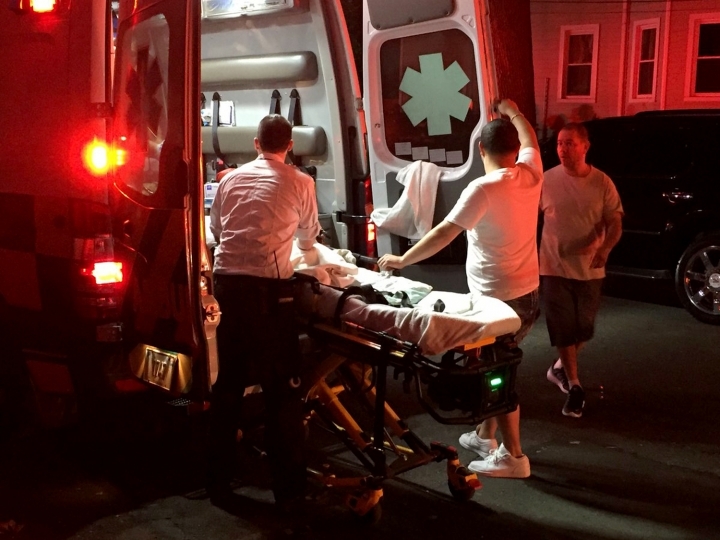 HARTFORD, Conn. — A porch collapsed at a Connecticut home, sending over a dozen people to the hospital. Assistant Police Chief Rafael Medina said people were gathered "on the second-floor porch for a family celebration." Jeisnely Vasquez was at the party and about to step on the porch when she saw it give way. "Before I stepped out, it started to fall and I went back," she said. First-floor resident Carlos DeJesus heard a thud and saw people and infants on the lawn. "I'm still in shock," he said. Personnel from the Fire Marshal's Office and Hartford Licenses and Inspection deemed the structure to be habitable following an inspection. The cause of the collapse is under investigation.